A campaign to raise the profile of Nottingham in the capital is now underway after a launch event hosted by one of the city’s key firms. About 30 people attended the networking event at John Pye Auctions’ showroom for its John Pye Luxury Assets brand in Old Bond Street, London. It marked the start of the Nottingham > London programme, which is led by Marketing Nottingham and Nottinghamshire (MNN), and aims to boost the city’s national presence, generate inward investment and attract talent to Nottingham to influence economic growth. The launch event also showcased the UK Corporate Games – a multi-sport festival for businesses which will be hosted by Nottingham in July – to representatives from companies across various sectors, who are being encouraged to sign up to the 2017 Games. Ben Sedgemore, Games Director, UK Corporate Games, said: “We have been incredibly impressed by the quality of the facilities in Nottingham as well as the desire of the local organisations to be involved. “There is a palpable sense that Nottingham is powering forward and we are delighted to be bringing one of the largest multi-sport festivals for business in the world there in July. Entrants of all ages and abilities will be participating and we have secured top class venues for each of the 23 sports and celebrations on the packed weekend programme. Nottingham > London will involve a series of events throughout 2017, including a “Nottingham – on Tour” networking session at Lee Valley VeloPark, which was used as the Olympic Park velodrome in London 2012. There will also be two alumni networking and business reception events, three talks about the fintech – or financial technology – sector with key speakers, and two property developer and investor events. 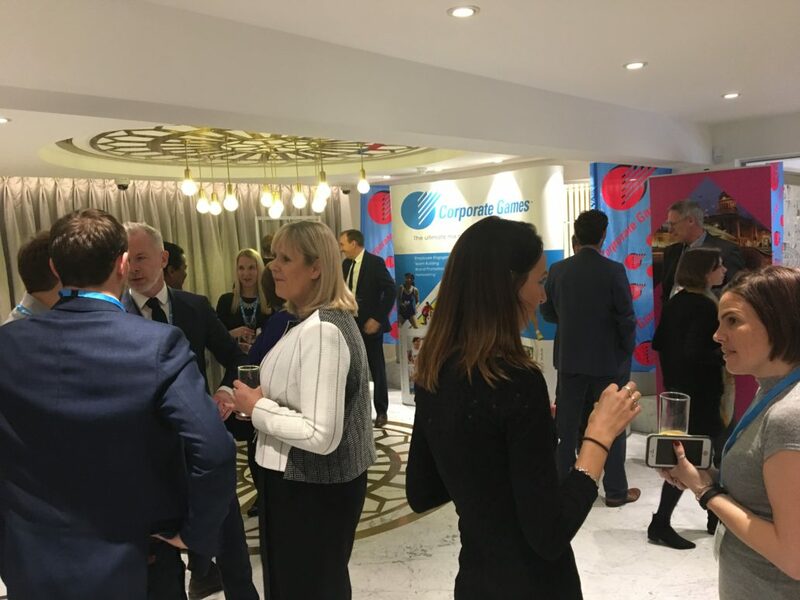 Brendan Moffett, chief executive of MNN, said: “We’ve been overwhelmed by the response from companies that have offered us their premises and John Pye’s base in Mayfair was a fantastic location to start with. It’s a great Nottingham business and this provided a fantastic opportunity to showcase the city.